When a disorder is poorly understood, myths about the condition are sometimes more widely believed than the actual facts. 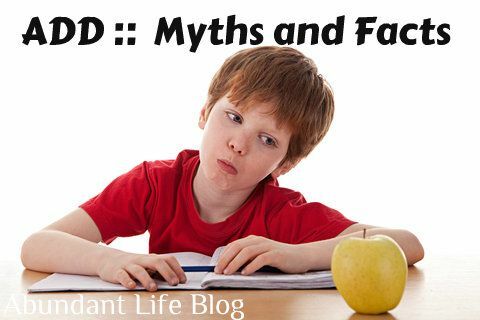 One disease associated with a lot of myths is attention deficit/hyperactivity disorder, better known as ADHD. If you or a loved one has been affected by this disorder, it’s important you learn the truth behind the misconceptions. Myth No. 1: Only “hyper” children have ADHD. Not all children with ADHD are noisy and excessively energetic. In fact, some children with ADHD are actually quiet and withdrawn. The latest official ADHD guidelines from the American Psychiatric Association divide ADHD into three subtypes: inattentive, hyperactive-impulsive, and combined (these children demonstrate both hyperactive and inattentive traits). Children with inattentive ADHD tend to be easily distracted and may appear forgetful and reserved in contrast to their peers with primarily hyperactive-impulsive symptoms. Myth No. 2. ADHD is over-diagnosed. Parents, media reports, and sometimes even physicians make this claim. Their concern is that many children being formally diagnosed with ADHD are simply immature or very energetic. A number of studies have examined this. One group of researchers did find that a percentage of children might be hastily diagnosed with ADHD even before they actually go through a full evaluation for the condition. Nevertheless, the evidence they reviewed did not ultimately show that ADHD has been over-diagnosed in the general population. Myth No. 3. People with ADHD are not intelligent. Myth No. 4. People with ADHD cannot pay attention. When the parents of an ADHD child or the supervisor of an ADHD adult observe this kind of focused attention, they may conclude that the person with ADHD has simply made an extra effort. Myth No. 5. Children will outgrow ADHD. Doctors once told parents and young patients with ADHD that the disorder would disappear by adolescence. Now, however, there are long-term studies showing that children who have ADHD often don’t outgrow it. Research has found that 60 percent of children diagnosed with ADHD become adults with ADHD. Current estimates are that about 4 percent of adults in the United States have ADHD. Myth No. 6. Children on ADHD medications are more likely to take illegal drugs as they get older. “There are at least 15 studies that dispel this myth,” says Jon Shaw, MD, director of child and adolescent psychiatry at the University of Miami School of Medicine. “The data show us that if you give a child with ADHD the correct kind and dosages of ADHD medications, they are actually less likely to become drug abusers than children with ADHD who are not given medication when they need it.” Researchers believe that appropriate treatment reduces the risk that children with ADHD will later self-medicate as teenagers. Myth No. 7. Teachers are deciding children need ADHD medication just to keep order in their classrooms. Although teachers are involved in evaluating a student’s symptoms when ADHD is suspected, only a physician can prescribe medication. A doctor should prescribe medicine to treat ADHD only after completing a thorough assessment that takes all the facets of a child’s behavior into account. Myth No. 8. Only boys have ADHD. In the past, ADHD was thought to affect only boys, but studies have shown that girls also have ADHD. Because girls may have fewer symptoms of hyperactivity, their ADHD is more frequently undiagnosed. Just as with boys though, it’s important for girls to get properly diagnosed and treated for ADHD so that they don’t develop problems such as depression, anxiety, and low self-esteem. Myth No. 9. Ritalin cures ADHD. Methylphenidate (Ritalin), a drug that is often prescribed for children and adults with ADHD, doesn’t cure the condition. Neither do the many other drugs that can be used for ADHD. The medicines make it easier to pay attention, focus on tasks, slow down, and act less impulsively. These drugs help control symptoms, but that is not the same as a cure. Myth No. 10. Sugar causes ADHD. Some people believe that ADHD is caused by eating sugar, or at least that sugar makes ADHD symptoms worse. So far, there is no concrete data to support this idea. In one recent study, researchers alternated giving children with ADHD sugar on one day and a sugar substitute on the next. Having a sugar substitute rather than sugar made no difference in the children’s symptoms. ADHD is challenging to manage, but separating fact from fiction makes it easier to understand and treat.